SIOUX FALLS, S.D. 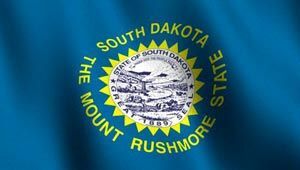 - Experts say South Dakota's agri-business strengths and its emerging health care sector puts the state in a great position for growth in the biotechnology industry. Dr. Christoph Bausch with SAB Biotherapeutics says biotechnology in South Dakota is small, but powerful. Bausch's Sioux Falls company works on genetic modification of livestock to produce human antibodies to fight diseases. The Argus Leader reports the state's companies are involved in a wide range of biotech research; including enzymes, ethanol, antibodies, biomedical devices and genomic medicine. Bausch says the downside is that biotech businesses lack facilities in South Dakota. Most research parks equipped to handle biotech companies' special needs are largely full. He says the state risks losing that business if it can't invest in housing those companies.